Cisco presents a wide variety of certification tests that anyone can take in order to earn a certification. Current exams fall under numerous areas of knowledge, including routing & switching, data center, design, security, and service provider, and are broken down into specific topics and subjects. Participants have plenty of options to choose from, involving the desire topic and difficulty. Exam participants must first choose an area of knowledge in which to specialize. Each area includes several specific topics, each related to a different level of difficulty. The Cisco Data Center certification exams only allow for the expert certification to be earned (in this case, there is no prerequisite). All other areas involve all four levels of certification: entry, associate, professional, and expert. Participants (in most cases) are only required to take and pass one of the available exams to earn that level’s certification (in some cases, only one exam is available). Before taking the exam for a higher level, the certifications of the previous levels must first be earned. This format requires a larger amount of commitment from individuals looking to earn the expert certification. For this same reason, the expert certification is much more valued within the IT/networking profession and will lead to more career opportunities. 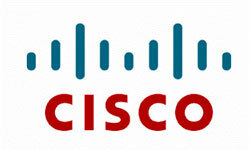 The Cisco Learning Network website offers more knowledge on the certification tests. It is suggested that participants become familiar with the exams, the subject areas, and all related training materials (including the highly-helpful TestsLive.com’s study resource) before moving forward. This gives information about how to earn the each level of Cisco certification and also provide information about how this certification will take part in increasing career opportunities in student life. what help can I have of I want to be familiar with CISCO exams and certification?